Next iPhone to have dual-LED, dual-color flash? The rumor mill wastes no time when it comes to “the next iPhone”. We received an anonymous tip that the next Apple smartphone (whether it’s the iPhone 6 or 5S) will have a dual-LED flash, but it’s going to be unlike any other dual-LED flash we’ve seen before. It’s going to have LEDs of two different colors. The rumor came with no evidence (certainly no photos) but it’s seemingly too odd to be made up. The purported dual-LED flash of the next iPhone consists of one regular LED and one with a slight blue tint. The idea behind this is to improve white balance when snapping photos. We’re not quite sure how this is supposed to work – use both LEDs at the same time to produce a brighter, slightly blue illumination, or light them up one at a time to get two different illuminations in an HDR-type strategy (instead of combing two exposures to get better dynamic range, combine two photos with different color to get better color accuracy). It’s an odd rumor as we said – it’s unlikely, but why would someone make it up? 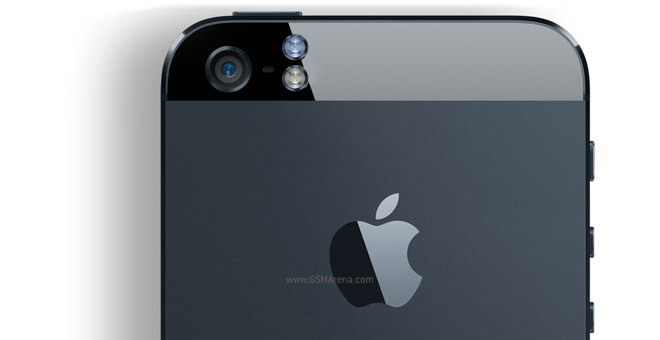 We would expect more “iPhone 6 with xenon flash” rumors than ones like this. Still, take it with a big bag of salt.